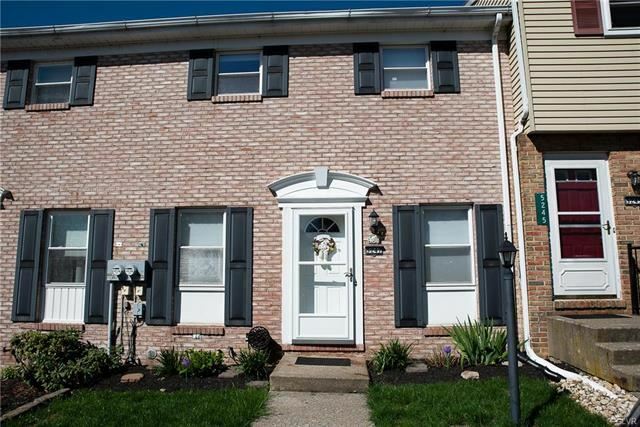 Beautiful Townhome located in Schnecksville.. Tremendous opportunity to own this well maintained home which has been priced to sell. Great starter home or family who may be downsizing. Very little outdoor maintenance. Quiet, established neighborhood close to shopping and many other amenities. Schnecksville School Elementary School / Public 8 0.75 mi. Orefield Middle School Middle School / Public 8 3.63 mi. Parkland Senior High School High School / Public 7 4.28 mi. Kidspeace National Centers Donley Tech * Elementary School, Middle School, High School / Private N/A 2.01 mi. Kids Peace Athlete Center School * Middle School, High School / Private N/A 2.05 mi. Lehigh Career & Technical Institute * High School / Public 2 0.92 mi. The approximate monthly principal & interest payment for this property would be $748.41. This payment is based on a 30-year loan at a fixed rate of 4.000 % - APR 4.102 % with a down payment of $8,150. Actual lender interest rates and loan programs may vary. Loans with lower down payments are available. 5247 Shawnee Boulevard, North Whitehall Twp, PA 18078 is a 3 bedroom, 1.5 bath single family home offered for sale at $163,000 by Bruce Morris in the Lehigh Valley real estate office.